My father’s birthday, my husband’s birthday and Christmas are the three times of the year that I dread, because buying gifts for the men in my life becomes increasingly difficult every year. Even when asked what gifts they would like, neither of them are helpful with their reply of “nothing”. So what do you buy for the man who has everything? Having worked in retail for a number of years, I have a pretty good understanding of what women want. But when it came to men, I was clueless – until now. Having personally experienced a gap in the market for quality men’s gifts (yes, you can have too many socks, shot glasses and stubbie coolers), I discussed my dilemma with female friends and family members and realised I wasn’t alone. This was when the inspiration for a one-stop men’s gift shop struck. Mr Gift offers gift solutions for the most discerning dad, fussy father or particular partner. All brands and products are carefully sourced to ensure that men of all ages, with a variety of interests are covered. Who is Mr Gift for? Wives, girlfriends, mums, sisters, daughters – Mr Gift was developed with you in mind. We promise to keep your shopping experience quick and easy so you can find the perfect gift, every time. Sometimes we all need to treat ourselves, so Mr Gift is also the perfect place for men to browse and purchase products for themselves. 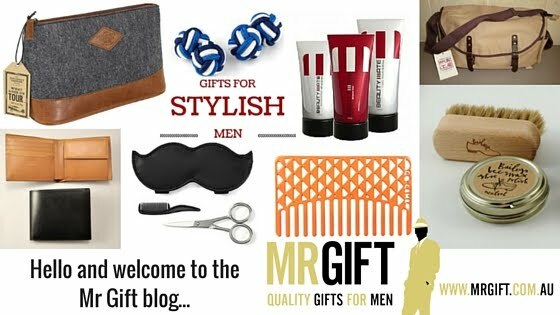 Specialising in a high-quality brand mix, Mr Gift offers the latest men’s fashion accessories, grooming products, homewares, gardening products and office gadgets. Guys, you can shop with confidence knowing that our product quality is second to none, and you’ll be the envy of your friends with the latest model or design. Why shop with us?Although there are hundreds of other online gift stores out there, Mr Gift is all about ‘quality’ - quality products, service and advice. ‘Quality’ doesn’t have to mean ‘expensive’ either. In our eyes, quality is a simple combination of products you can trust, that offer excellent value-for-money, coupled with great service and advice from gift experts.